Faith Formation is the new name for a famous parish program of the past. You might know the name as “CCD” or “CYO” or even Religious Education or PREP. No matter the name the goal is still the same: To educate children, youth and adults in the Faith of the Catholic Church. Why all the name? Well, all the names from history had a place in the day they were used. For instance, CCD, Confraternity of Christian Doctrine, was a program designed to help children who were Catholic yet unable to attend Catholic School whereas the CYO was a sports organization for all Catholic Youth. Today we call the education of our youth and adults, Faith Formation because we are forming faith. Faith Formation is also not just for kids anymore. Faith Formation is for the whole family, we never graduate from learning about our faith! Here at Church of the Resurrection we call our Faith Formation program LiFFe for Lifelong Faith Formation. Check out our programs and find out where you fit into our parish Faith Formation Program. 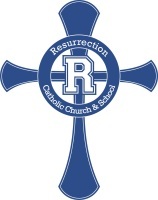 Besides opportunities for faith development, all of our Religious Education programs provide many Stewardship opportunities for Resurrection parishioners, as Catechists, classroom aides, facilitators, helpers, hall monitors, building coordinators and as financial sponsors. Call Maria at 863-646-3556 ext. 113 or email at mjimenez@churchoftheres.net for questions or to volunteer your time and talent and to participate.